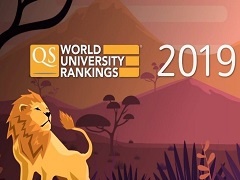 Altai State University has been has been included in the list of the top 100 universities in the world-recognized university ranking QS-BRICS 2019 of the British company Quacquarelli Symonds for the second time. There are about 9,000 universities in the BRICS countries, and Altai State University ranks among 1.1% of the best universities in these countries. This year, the ranking has included 26 new universities of China, India, Brazil and South Africa, which managed to move ASU down by only 4 positions compared to 2017, so Altai State University now takes the 98th place. Russia is represented by 101 universities in the ranking. ASU has taken the 23rd place among them (it is 1 position higher than in 2017). According to the ranking organizers, ASU has showed an increase of 134.3% to the median indicators of Russian universities over the last year. ASU has taken the 4th position among the universities of the Siberian Federal District, losing only to the leading universities participating in the 5-100 Project – Novosibirsk State University, Tomsk State University and Tomsk Polytechnic University. ASU has also captured the 1st place among the 33 flagship universities of Russia. The expert assessment is based on the results of surveys of representatives of the academic and business communities. The following criteria are taken into consideration: academic reputation, reputation among employers, the ratio of the teaching staff to the number of students, the citation index and the proportion of scientific articles for a teacher, as well as the proportion of foreign teachers, foreign students and teachers with a scientific degree. QS annually publishes the lists of the best higher educational institutions of the whole world, as well as of individual states and economic regions. QS rankings are recognized as ones of the most influential in the world, along with the Academic Ranking of World Universities and the Times Higher Education World University Rankings.